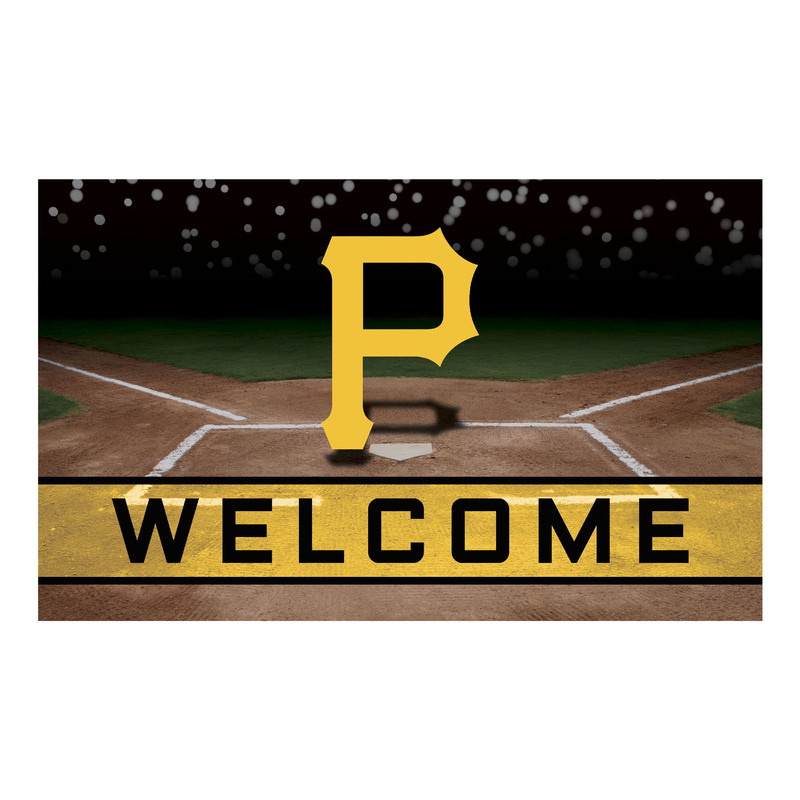 The Pittsburgh Pirates Crumb rubber outdoor doormat is an extremely tough and durable welcome mat. These mats are manufactured with 3D molded deep reservoirs to help contain water and other debris along with a industry standard flocking for an aggressive scraping surface. Care of the mat itself is also very easy as all you need to do is hose it off, brush it lightly and then let it air dry. 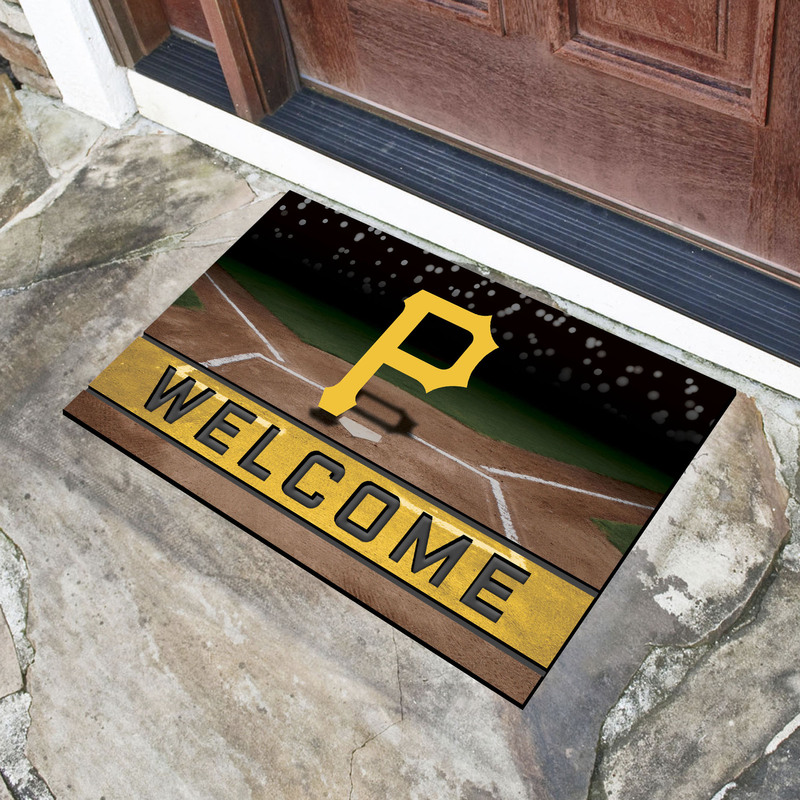 This Pittsburgh Pirates doormat is made from 100% recycled non-skid vinyl making it the perfect eco-friendly product for the Green household. It is also manufactured exclusively in the USA, to help support the American economy. 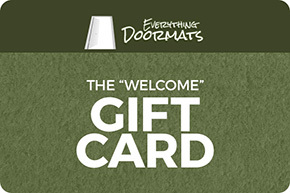 This Pirates crumb rubber doormat comes in an 18" x 30" size.